I recently got into a somewhat heated debate with a colleague about a very pressing current issue—e-readers versus paperbacks. While my opponent made some good points about accessibility, I couldn’t concede. You just can’t beat the feel of crisp pages and the smell of fresh ink—and those are things that your tablet just can’t provide (yet). One of my main selling points in the support of real books was, of course, our client base. Ever since the new Rinconada library renovations completed, many people have walked through our Campbell showroom looking for a very specific bookshelf configuration. They’re seeking an at-home, master-bedroom library—and as a proponent of real books, I am only too happy to oblige. 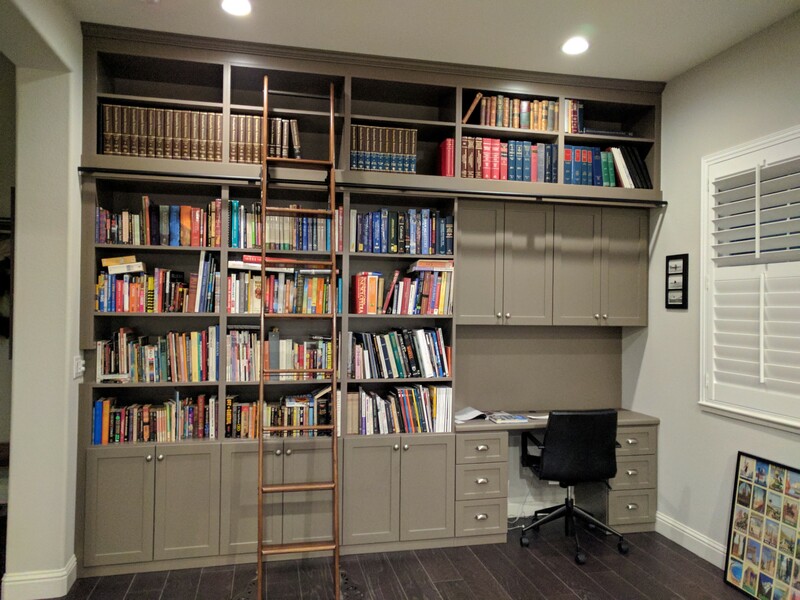 Use custom bookshelves, cabinets, and drawers, to your advantage to create an ultra-functional library design for use in Palo Alto (or anywhere else we book lovers congregate). Many literature-lovers are transitioning to e-readers and tablets (even I use them occasionally), but physical books retain their allure. There’s something about sitting down with one—the smell of the ink, the crisp sound of a turning page, the physical weight in your hand. Clients in San Jose know what I’m talking about. You folks ranked in the top 20 most well-read cities in the US, and you’ve got all sorts of intriguing bookstores. I’m partial to Recycle myself, although I hear great things about Hicklebee’s from parents.